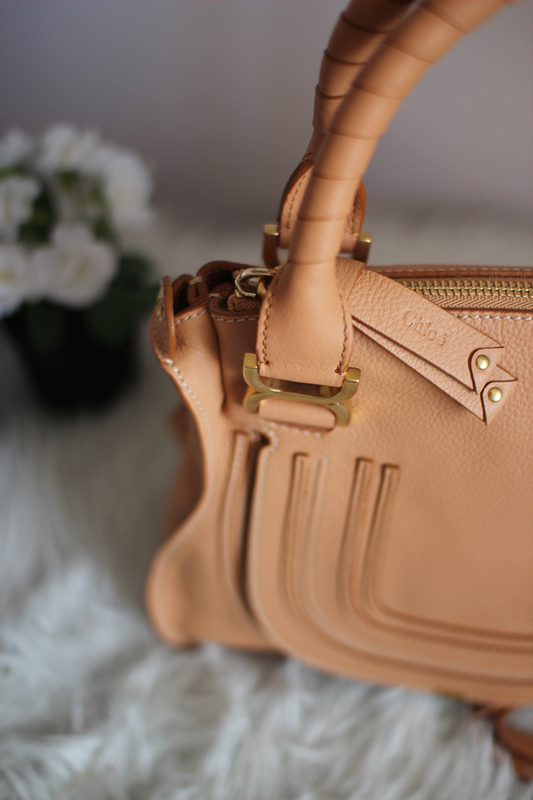 This post has been long overdue but here's a reveal of my new Chloé Marcie in rose milk! I've been on the hunt for a neutral colored bag. After punching the numbers over the Prada Cuir that I originally had my eyes on, I decided on this Chloé bag instead. I purchased this bag through the Forward by Elyse Walker app. It was such a great deal that I couldn't resist! The app doesn't charge you for tax, free two-day shipping, and you get 15% off your first purchase with a promotional code that I've included at the end of this blog entry. Check out the rest of this post to see more photos of the newest addition to my growing handbag collection! Love it :) ! Ate can you do another room tour or something with your new desk :)? the marcie is beautiful! and very versatile in color and shape. I can see why you chose it over the cuir :) I hope you enjoy your new purchase!